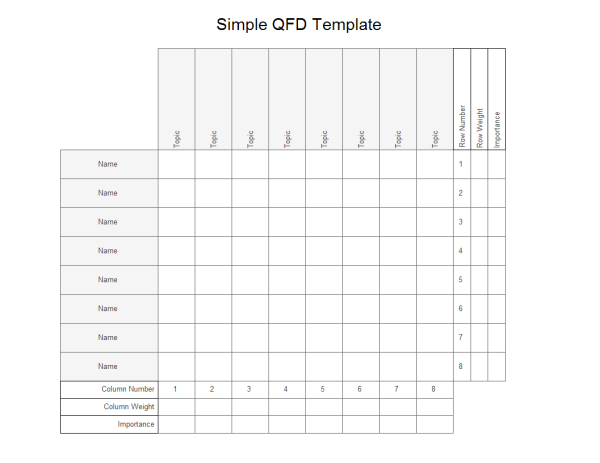 Simple QFD template created with the Edraw qfd software. Using this easily customizable qfd template you can represent any existing simple quality function deployment diagram. Simple QFD template can reduce the amount of time to create wonderful simple QFD by using built-in symbols right next to the canvas. You can download these simple QFD, modify them and make them your own. Discover why Edraw is the most excellent QFD Maker here. Try Edraw FREE.